Salanieta Tamanikaiwaimaro is the Founder of Pasifika NEXUS. A lawyer by profession, her interests span across diverse areas regarding social and national transformation through empowering communities through the use of Information Communication and Technology. She has also served in previous positions as co-coordinator of the Civil Society Internet Governance Caucus (IGC) the oldest civil society organization formed since before the creation of the World Summit on the Information Society (WSIS). 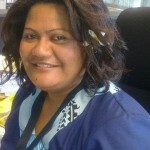 She has also served within ICANN’s At Large Advisory Committee (ALAC) where she represented the Asian Australasian Pacific Regional At Large Organisation comprising of Accredited At Large Structures like the South Pacific Computer Society. She is the new President of the South Pacific Computer Society. In 2011, she was the inaugural Chair of the Fiji Cyber Security Working Group under the Ministry of Defense and facilitated National Cyber Security Workshops involving stakeholders from all over the country. She now acts in an advisory capacity to the Fiji Cyber Security Working Group and is Chair of the Legal Sub-Committee tasked with developing the Cyber Security National Strategy, Policy and related laws. She has been a past Fellow with the International Bar Association (IBA). She has presented in numerous forums and avenues including the International Bar Association, New South Wales Bar Association, Hawaiian State Bar Association, Internet Governance Forums, Asian Pacific Regional Internet Governance Forum, APNIC, ICANN, Pacific Science-Inter Congress etc. She is an Alumni of the US Department of State having been a Fellow at the American Bar Association, in Washington DC. Ms Tamanikaiwaimaro is a member of the Global Advisory Council of BrightPath Foundation and organization dedicated to empowering communities through ICT. She is a member of Global Leadership Interlink (GLI) and has been a member of Fiji Red Cross since 1993. 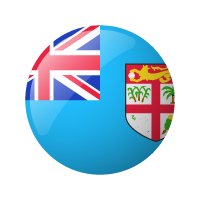 She is currently concluding a research project involving the Republic of Marshall Islands, Republic of Fiji, Niue and Cook Islands in the area of Cyber Security.